KL city landmarks include the Petronas Twin Towers, KL Railway Station, KL Tower, the National Mosque and the National Palace. 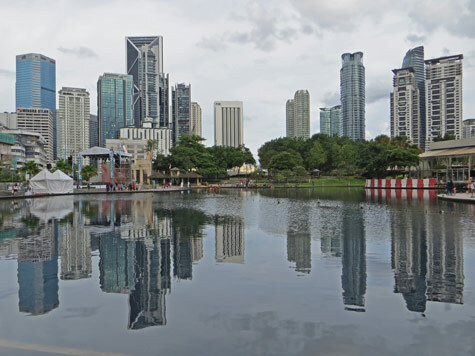 Other top attractions in Kuala Lumpur Malaysia include several beautiful city parks, gardens, markets and historic squares. Popular museums in KL Malaysia include the National Museum, Music Museum, Textile Museum and Telecom Museum. Excellent hotels can be found in the City Centre (KLCC), at KL Sental (transportation hub) and near the International Airport (KLIA). Kuala Lumpur public transportation services include a metro system, monorail line, bus network, commuter rail and airport express.